Boy band iKon is back on the world stage, as the seven-member group will begin its world tour with a concert in Seoul in August. 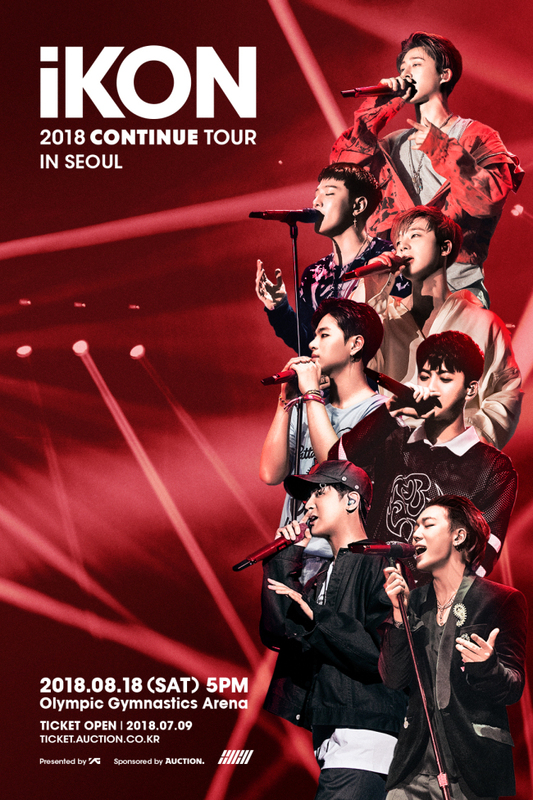 YG Entertainment on Monday announced through its official blog the upcoming tour, with a poster of iKon members’ performance. The first part of the tour, the Seoul concert, will be held at 5 p.m. on Aug. 18 at the Gymnastics Arena in Olympic Park in southern Seoul. Following the concert, the act will perform in eight cities including Kuala Lumpur, Bangkok, Singapore, Hong Kong, Jakarta and Manila, and an unspecified city in Taiwan. The time and date for the respective concerts have yet to be announced. It marks the first international tour for iKon in nine months. Last year, the band held its first dome tour in Japan, attracting a total of 470,000 fans in 35 concerts.